I was IN LOVE with this wifey shirt the second I saw it and my husband was so sweet to get it for me for Christmas. 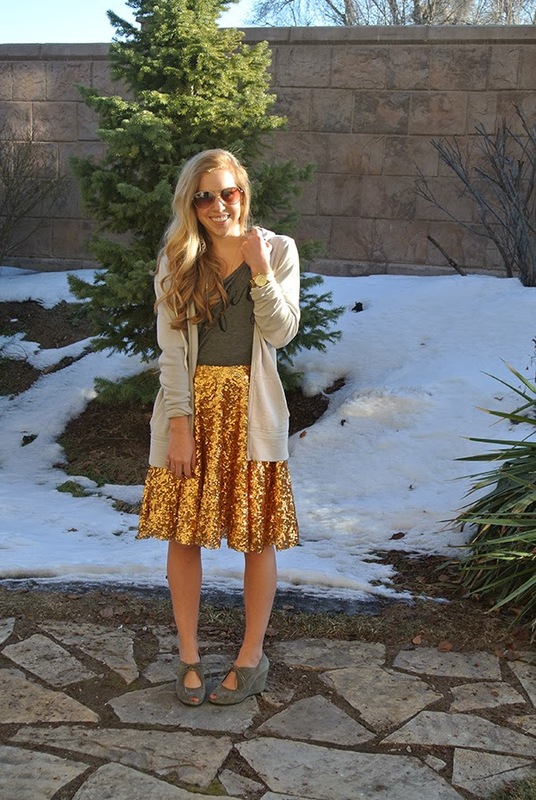 I am not big into wearing warm weather clothes in the winter but I HAD to wear this shirt because I love it so much. 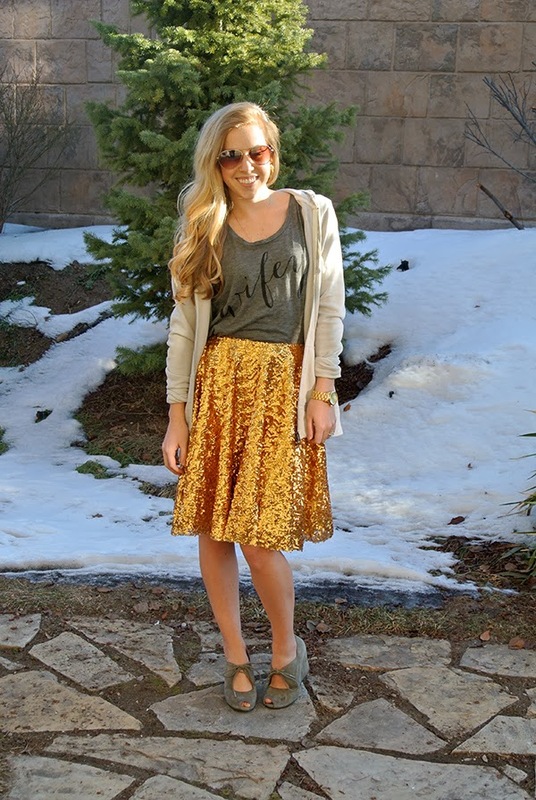 Why not match my new favorite tee with a sparkly gold skirt?! This shirt is also the perfect start to the week of LOVE. No there is no pink or red but I think this tee is fitting since I will be celebrating my first Valentine's Day with my husband this year, after 9 years of being together. please refer to my aBree Original website under the shop/order tab. Thanks for stopping by today!! Be sure to follow along! 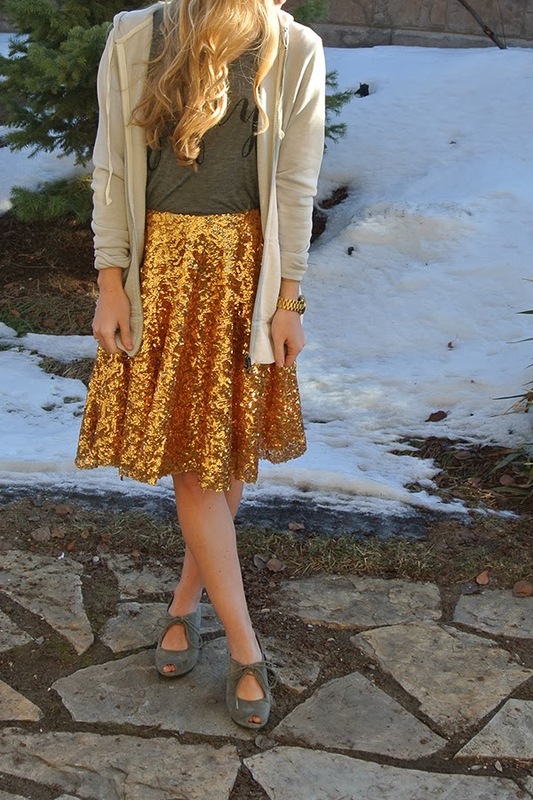 such a pretty skirt omg! 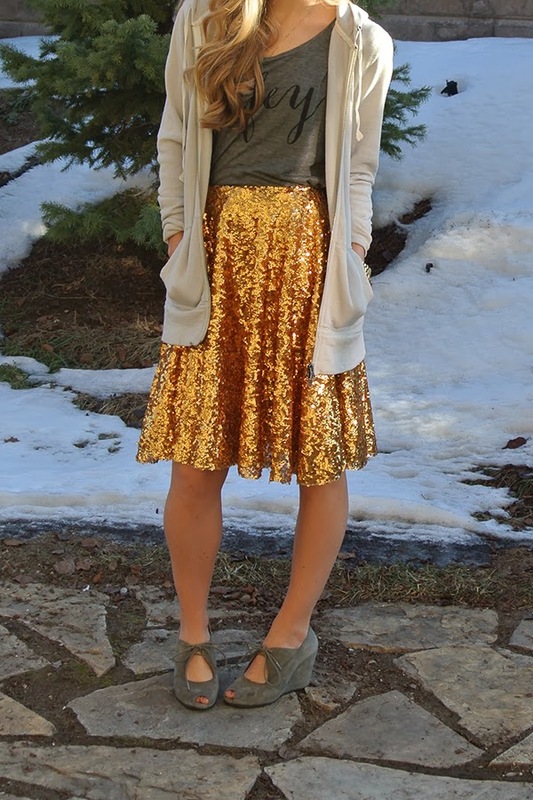 love the sequins! 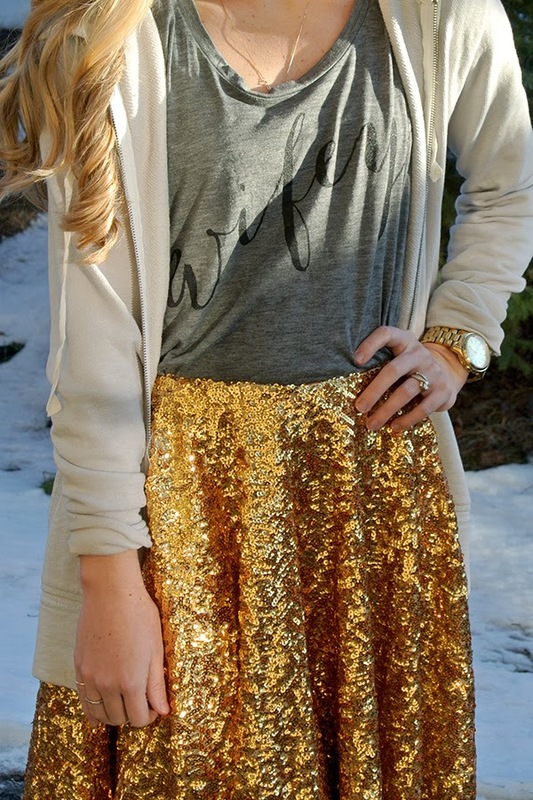 That skirt is amazing! I love it! What size of the wifey tee did you get? I'm in between sizes so I'm trying to figure out if I should order a small or medium. Do they run true to size or a little baggier? Thanks!